The Currie Cup is great. Super Rugby is superb. But there’s nothing quite like Test rugby and it’s that time of year again. The International Series is here and we’re salivating — partly because the mighty Springboks are entertaining us once more, and partly because it’s time to braai! Just as the Springboks are part of who we are as South Africans, a braai is too. When our boys are in green and gold, so are we. But when they’re preparing to get out on the pitch, we’re preparing the fire. Rugby culture and braai culture are one. Freddy Hirsch is proud of this heritage. 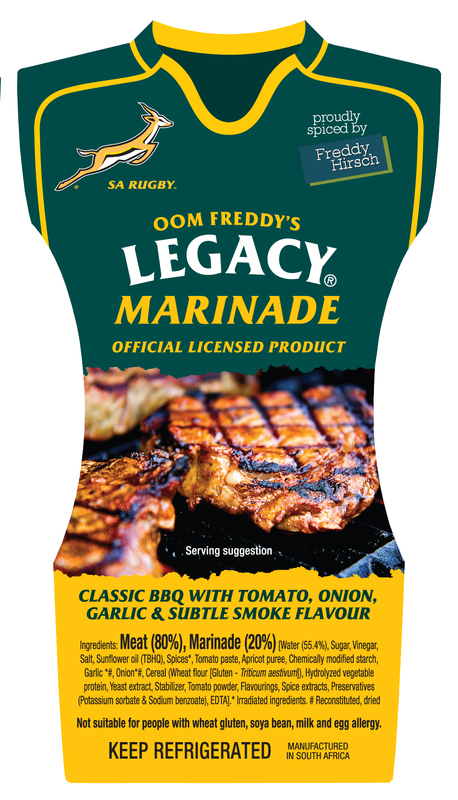 Oom Freddy’s Legacy® range is a celebration of the South African rugby team and the fans that come together. 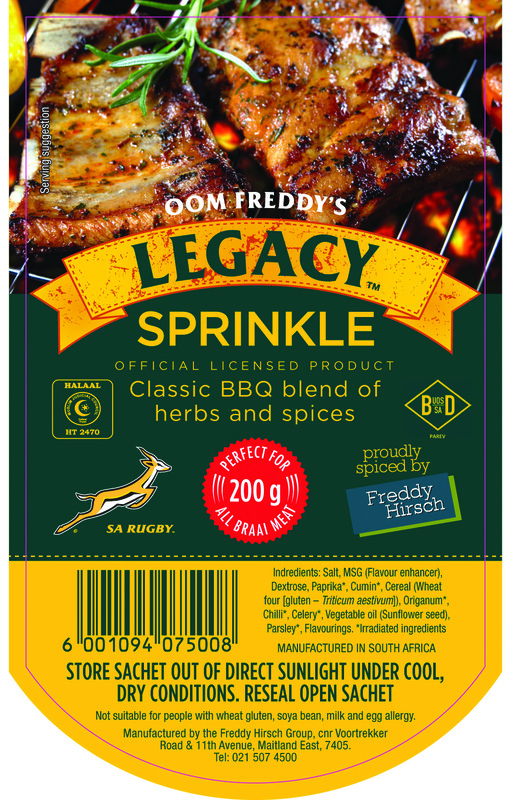 The Legacy® products are official licenced products of the Springboks, made with passion and SA’s favourite flavour profiles. 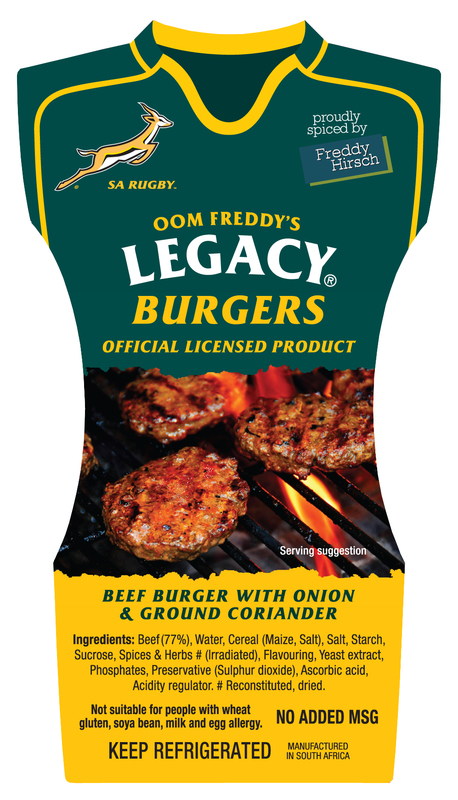 A game of rugby is always more enjoyable when you can sink your teeth into a Legacy® burger or boerewors roll! We’ve already played two games against France and the season is off to a great start. The scores in Pretoria and Durban being 37-14 and 37-15 respectively, which bodes well for the rest of the matches. 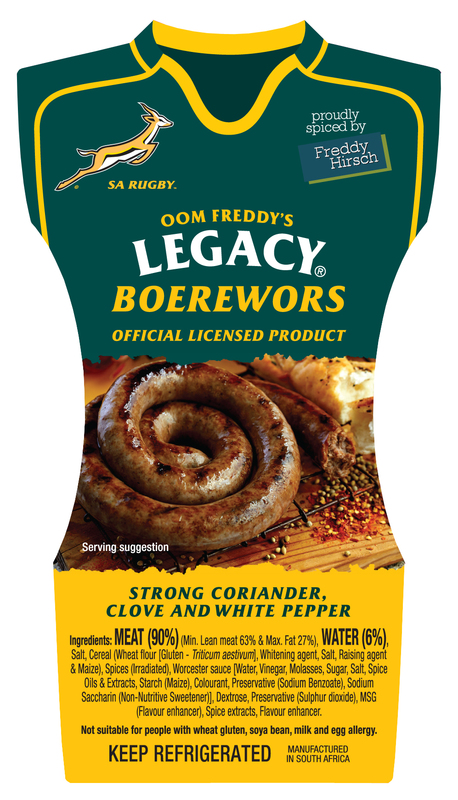 Cheers to the Bokke, and cheers to an unbeatable braai!